2016 may not have been the best of years — thanks, Donald — but I’m pleased to say that I wrote some pretty good stuff this year, and I wanted to take a moment to talk about it, being in a somewhat reflective mood as the year spirals toward its fiery doom…er…wraps up and folks get blitzed on cheap champagne. The biggie, obviously, was the hardcover release of my latest novel, MJ-12: Inception, first of the MAJESTIC-12 series of Cold War paranormal spy-fi thrillers. I was super-pleased with the reception, and chuffed to see folks embrace it. To all those readers out there, I thank you muchly for your enthusiasm and kind words. Night Shade Books also released the Daedalus trilogy in mass-market paperback this year. It was fun to see those books get new life and new readers. I also contributed a novelette, “Mind Flight,” to the Geeky Giving anthology effort, which benefits the Barrow Neurological Institute in Arizona. Barrow works to combat neurological disorders, and the theme of the anthology was to embrace that cutting-edge research. “Mind Flight” is the story of a pilot who links her brain to her fighter jet in order to help fend off an alien invasion — and what happens when the aliens figure out a terrible way to fight back. It’s my first hard SF work, and I’m proud to have it in there with so many other talented writers. All proceeds go to Barrow, so pick up a copy! 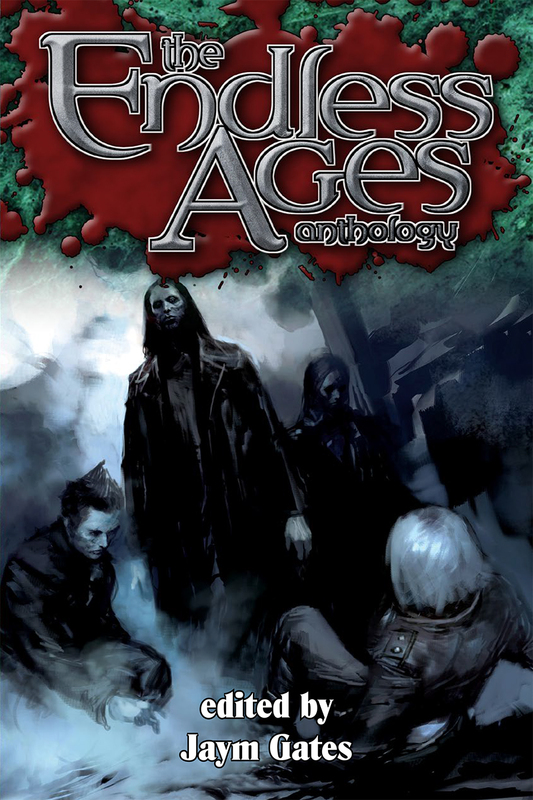 Finally, I got another chance to embrace my geeky, misspent youth by contributing a short story to the Endless Ages anthology, which featured stories set in the Vampire: The Masquerade game setting. “Tiger” is the story of a young vampire caught up in the power games of her elders, with near-disastrous results. It was a total blast to revisit the setting and embrace my Gothic Punk side. I also had an article published in the October issue of Writer’s Digest, talking about how I use Excel to outline my novels, which was pretty cool. Sadly, you’d need to get the magazine to read the actual piece, but I can point you to the online exclusive bit, wherein you can download part of my outline and see how the alleged magic happens. As for 2017? 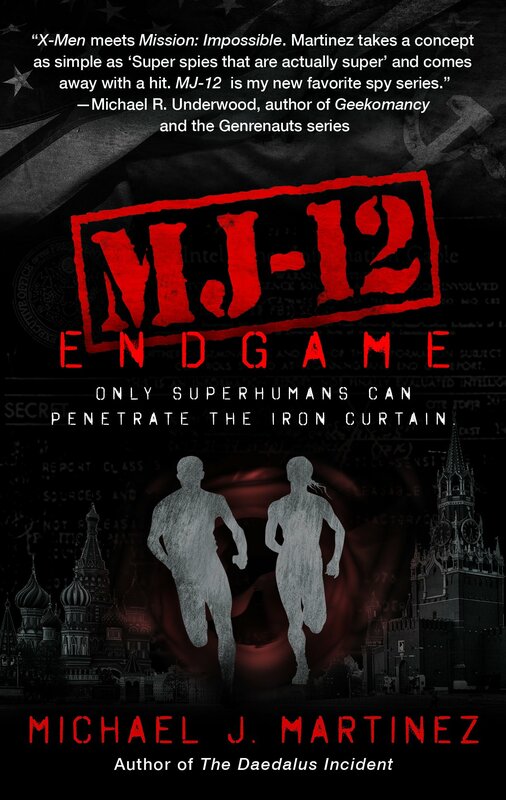 MJ-12: Shadows, the follow-up to Inception, should be coming out some time in the late summer/early fall, and I believe plans are in the works for a paperback release of MJ-12: Inception before that. I also have a bit of a passion project I’m working up on the side, and I’m hopeful it finds a home. I also have a short story or two I’m noodling on, but the plate gets full fast, so we’ll see how it goes. As of right now, I’m not sure what my con schedule will look like for 2017 quite yet. I like Phoenix Comicon and DragonCon a lot, but I’m wondering if it’d be worthwhile to mix it up this year. I don’t think I have the capacity to add to my schedule — I have a full-time job on top of all this fictioning, after all — and I’d be torn about missing out on two fantastic cons. But there are others that seem interesting, and have the benefit of not falling on two super-popular holiday weekends, so we’ll see. Again, much thanks and gratitude to all the readers who picked up my work this year. You give me the fuel to keep at it, and I deeply appreciate it. May you all enjoy a peaceful holiday season, and may we all have a better year ahead. Found by a friend at Powell’s up in Oregon. One of many reasons indie bookstores rock. Let me start by saying that I realize Amazon and Barnes & Noble are the two big choices for book buying, and honestly, I have a lot of respect for both of them. Both companies have been good to me and my work, and I deeply appreciate that. I’m glad they’re there. But you know what’s awesome? Independent bookstores. I love indie bookstores, man. They are an absolute labor of love for the people that own and run them, and they are vibrant and, dare I say, critical pieces of community life around the country. So this holiday season, I would encourage you to check out independent bookstores in your area for all your gift-giving needs. Or maybe check out the ones I have listed here if you don’t have a local indie close to you. These are the independent bookstores that I’ve enjoyed visiting around the country, and if you’re in the market for books this holiday season — whether it’s my books or just any books — I would strongly encourage you to check them out. The vast majority of these offer online sales and shipping, and many offer ebook sales via Kobo, too. I totally get that indie books are more expensive — they’re generally full list-price, plus shipping. And sure, Kobo is a little more expensive than Kindle or Nook. Given the huge impact a good bookstore has on its community, I would urge you to shop indie anyway, if you’re able to do so. It’s fantastic karma. Pre-order the Geeky Giving anthology, coming August 9! I was super proud to have a story in this charity effort, and super proud of the story I submitted for it. Now, you can get all the Geeky Giving stories in one handy-dandy publication: Geeky Giving: A SFF Charity Anthology, to benefit the Barrow Neurological Institute! Geeky Giving is now available for pre-order on Amazon, Kobo and iTunes in ebook — and print is coming! Love the cover, and honored to have my name on it. This is such a great anthology, full of very different stories all dealing with the mind, neurology and related ideas. My own story, “Mind Flight,” is certainly my hardest hard-SF story, and I really loved writing it. Plus, bits are set in Iceland, which inspired my work quite a bit when I went there a few years ago. You get a bunch of great stories from fantastic writers like Mary Robinette Kowal, K.B. Spangler, Shaun David Hutchison, Amanda Bonilla, Jeff Somers, Sierra Dean and more. And again, all the money goes to support the life-saving work of the Barrow Neurological Institute in Arizona. Get great fiction, feel good about doing it. What’s not to love? Go forth and pre-order! Short version: That was incredibly super fun. Will repeat. But hey, I think we can do better, right? Phoenix Comicon has one of the best author/books tracks of any major convention I’ve been to. So what makes it the best, you ask? For one, there are a ton of great authors writing a dizzying array of diverse works. Two, the topics of the panels are usually pretty interesting and thought-provoking. Third, the con puts our books on sale right next door to the panels, and the marketer in me loves that impulse-buy opportunity. But mostly, it’s the fans. The folks in the audience at all of my panels were super-smart and incredibly engaged. Their questions were thoughtful and really kept us all on our toes. The resulting conversations were informative to me, and I hope they were to everyone who came. The fans are the biggest reason I go, and y’all are really generous with your time and encouragement of my work, and I try to do the same with whatever you got going on, too. For the first time, I had someone in the audience at a panel actually reference parts of my books as an example that I didn’t even think of — and I didn’t even know who he was, let alone did I bribe him. So that was lovely. And now some more highlights in now particular order! It’s time for Phoenix Comicon! Here’s where I’ll be! I had a blast at last year’s Phoenix Comicon, and I’m really looking forward to this year. I’ve got a lot of cool stuff going on, and if you’re going to be there, I hope you’ll get a chance to say hi. Here’s my schedule of events for this year, which is also on my fancy-pants guest page. Chances are, I’ll have an ARC of MJ-12: Inception on me at any one of these, so keep an eye open for giveaways! Tonight, 7 p.m. — Elevengeddon at the Poisoned Pen in Scottsdale! I’ll be joined by something like 19 other authors for a mega-SF/F signing spectacle at one of the best independent bookstores in the country. Here’s the event listing and address. It’s the ultimate SF/F convergence. BE THERE. Thursday, 1:30 p.m. — Trope Talks: Comedy Relief, North 128B. This panel will discuss the role of the comedic sidekick in stories, and how they’re more than just the funny guy in the room. With Scott Sigler and Yvonne Navarro. Friday, 3 p.m — Building a Believable World: The Deets, North 129A. Let’s drill down into worldbuilding with some pretty awesome authors, including Bradley Beaulieu, Brandon Sanderson, Dan Wells, Shannon Messenger and Victoria V.E. Schwab. Friday, 6 p.m. — The Lighter Side of Sci-Fi, North 128A. Why so serious? This panel takes a look at more optimistic views of the genre. With Alexandra Olivia, Greg van Eekhout, Howard Tayler, Jody Lynn Nye and Suzanne Young. Saturday, 10:30 a.m. — Crossing the Streams: Genre Splicing, North 128A. Obviously, this is kind of my sweet spot. Let’s put genres in a blender and see what happens. With Adam Christopher, Aprilynne Pike, Neo Edmund and Yvonne Navarro. Saturday, 4 p.m. — Bioskeletons, Neurotransmitters, Synthesia: Medical Science in Sci-Fi, North 127C. Let’s talk about futuristic medicine in a panel organized by the fantastic folks at Geeky Giving! Saturday, 6 p.m. — Drinks with Authors, North 120. Come see authors in their natural habitat, i.e. near the bar. This informal hangout is one of my favorite things, and there will be raffles to benefit Kids Need to Read. Come say hi, drink drinks and maybe win something — all for a great cause. Sunday, 1:30 p.m. — World Building: Are We Still Talking About This? An interesting take on world-building with this panel; we’re being asked when it gets to be too much, or when it matters less. With Greg van Eekhout, John Peck/Jack Heckel and Sarah Remy. Thursday, 3 p.m. — Signing Lounge, North 127AB. There’s a lounge? Are there drinks? I’m hanging out with Becky Chambers, Jamie Wyman, Jason Hough, Michael Kogge, Patrick Hemstreet, Sarah Remy and Yvonne Navarro. Thursday, 6 p.m. — Exhibitor Hall Signing. There’s also the signings in the big hall, too. With Becky Chambers, Greg van Eekhout, Jason Hough, Michael Kogge, Patrick Hemstreet and Sarah Remy. Friday, noon — Exhibitor Hall Signing. Once more, with feeling! With Alexandra Olivia, Austin Aslan, Michael Kogge and Shannon Messenger. Friday, 4:30 p.m. — Signing Lounge, North 127AB. Lounging about, apparently, with Bradley Beaulieu, Brandon Sanderson, Dan Wells, Holly Jennings, Jason Hough, Michael Kogge, Shannon Messenger and Weston Ochse. Saturday, noon — Signing Lounge, North 127AB. At this point, we’ll probably be crooning ’70s lounge music. And we’ll be doing it with Aprilynne Pike, Bradley Beaulieu, Christina Henry, Leanna Renee Hieber, Neo Edmund, Patrick Hemstreet, Sam Sykes, Sarah Remy and Victoria V.E. Schwab. Saturday, 1:30 p.m. — Exhibitor Hall Signing. Really, you will not want for signing opportunities. With Alexandra Olivia, Neo Edmund and Jason Hough (who will likely be quite sick of me by this point). Sunday, noon — Exhibitor Hall Signing. This will be your last chance to get something signed by me. Not that you haven’t had ample opportunity. With Alexandra Olivia, Alyssa Wong (whose short stories are amazing and wonderful), the incomparable Kevin Hearne and Patrick Hemstreet (who will also be sick of me by this point). So yeah. Seriously, if you’re having trouble finding me, you’re obviously slacking something fierce. You can also follow me on Twitter to see what I’m up to and, perchance, have another crack at free books. I’ll have the aforementioned MJ-12: Inception ARCs, but also a couple sets of the Daedalus trilogy to give away, and I’ll have a ton of bookmarkts for you too. Because I’m nice like that. 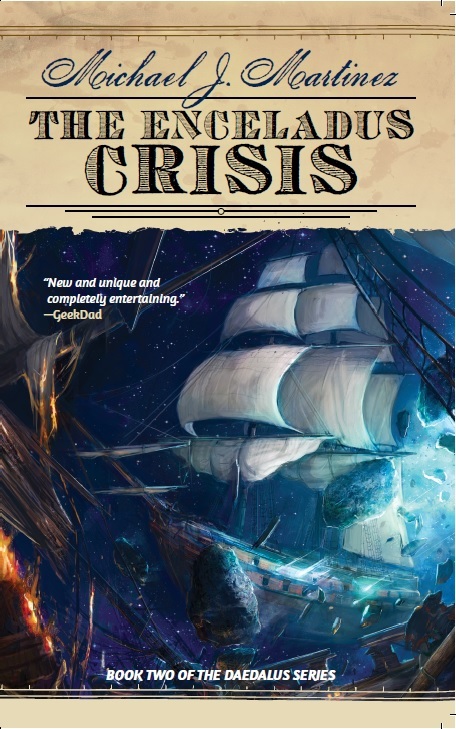 The Enceladus Crisis comes out in paperback May 10! April’s been a very busy month, and I haven’t given the blog it’s due. And I’ve been remiss in mentioning that The Enceladus Crisis will be released in mass-market paperback on May 10, which is super exciting for me and, hopefully, a new opportunity for readers to explore the Daedalus trilogy. The Enceladus Crisis picks up where The Daedalus Incident left off — two years after the strange quakes on Mars that plagued our heroes in the 22nd century, and nearly twenty years after a young Lt. Thomas Weatherby unraveled the mysteries of Cagliostro’s insidious plot. There’s more twists and turns in this one, new and exotic locations, and the peril — oh, the peril! It’s not an easy time for anyone in this book. 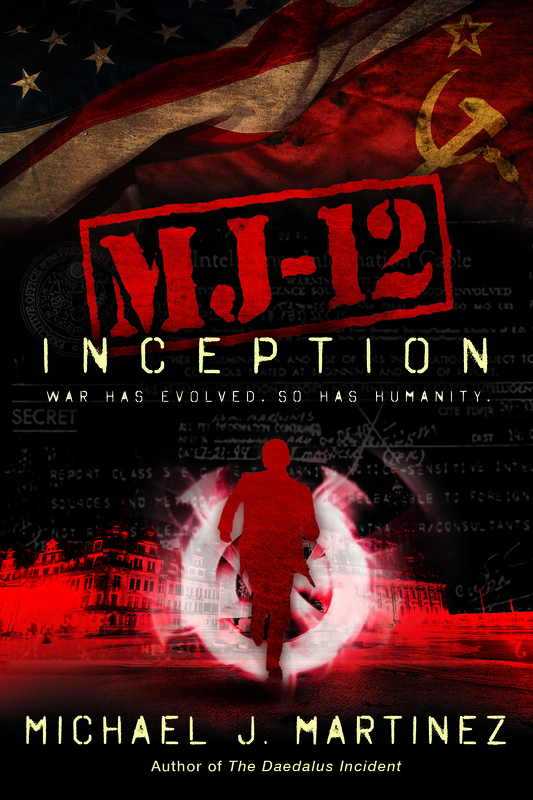 The paperback release, in addition to being easier to carry around and cheaper (ebook prices have already started to come down), also includes a new excerpt from MJ-12: Inception, the first book in the MAJESTIC-12 series of paranormal Cold War spy thrillers out in hardcover this September. The first excerpt, in The Daedalus Incident paperback, introduced readers to a young Army officer named Frank Lodge as he navigated a particularly harrowing situation in Berlin in the aftermath of World War II. The excerpt in Enceladus introduces Danny Wallace, a Navy man investigating something very unusual in Hiroshima three months after the city was leveled by the world’s first atomic weapon. And yes, there will be a third, all-new excerpt of MJ-12: Inception released with The Venusian Gambit paperback in July. 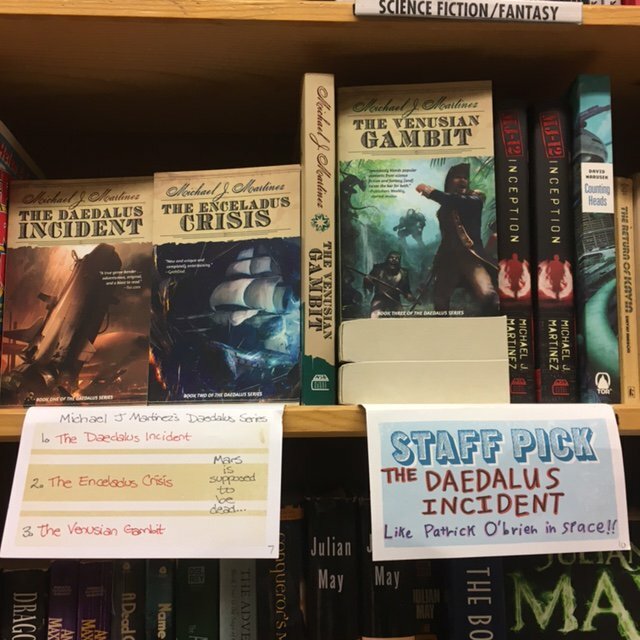 I’m quite excited and very gratified at how The Daedalus Incident sold in paperback — thank you, readers! And the support the series has been getting on social media has been pretty awesome. I don’t have plans to run a contest for The Enceladus Crisis at the moment — there’s been too much other stuff to do — but any shout-outs on social media, and any reviews you care to place on Amazon, B&N, Goodreads and the like, is greatly appreciated. 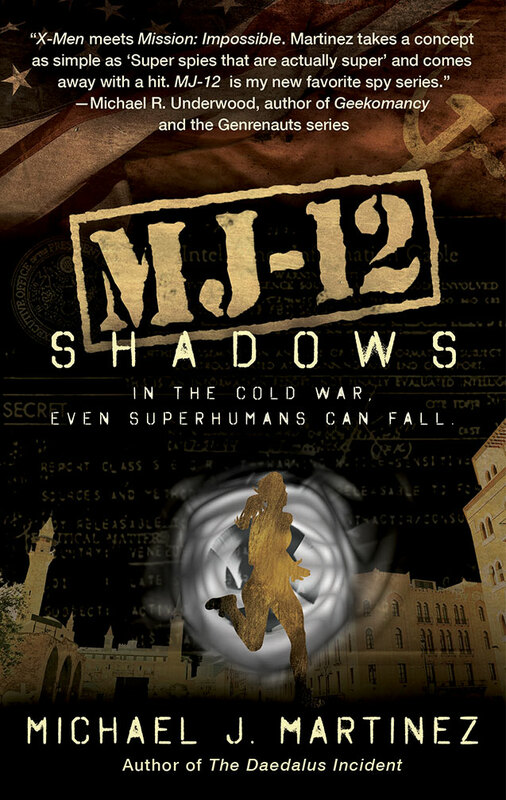 As for other things, I’m busy preparing to draft MJ-12: Shadows (working title), the second MAJESTIC-12 novel. It was a tougher nut to crack since the world of the Variants has expanded quite a bit, but I worked through a bunch of stuff this month and have the whole thing mapped out, as is my wont before I start the actual writing. It feels like I’m a bit behind in the process, likely because I’ve been busy with day-job things, but when I look at the calendar, I feel quite good about where I am. 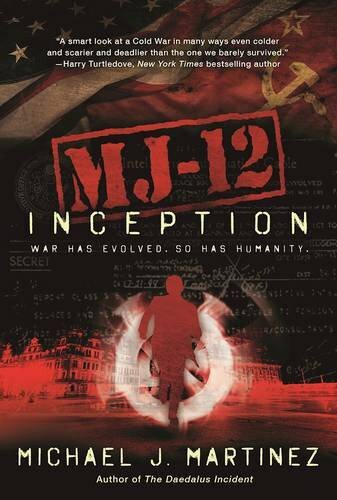 Advance reader copies (ARCs) of MJ-12: Inception have been printed, and I’m eagerly awaiting my stash. The cover is beautiful, and the interior design is absolutely gorgeous. (I may have mentioned that before, but it bears repeating. Gorgeous.) I’ll also be getting digital ARCs soon for reviewers and the like. It’s a real thing that’s happening, and I’m pretty stoked. I’m also getting excited for Phoenix Comicon during the first weekend of June. Not 100% sure on panels yet, though I know I’m doing something with Geeky Giving as well as a panel on humorous sidekicks, plus there’s the Elevengeddon signing at the Poisoned Pen and the Drinks with Authors charity thing. I’m bringing some MJ-12: Inception ARCs as well — if you’re going, watch my Twitter feed carefully if you want one. So that’s what I got going on. I promise to be far more entertaining on the blog in May.